The world has lost one of its premier guitar players and its absolute best guitar teacher with the passing of Ted. Click on the recording available link above and listen to Ted. On October 3, 2005, I was thinking of calling Ted and asking him a question that I should have asked him while I was taking lessons from him in 1982 and 1983 during which time he gave me all those, as he called them, "fly specks on paper" sheets of chord progressions. 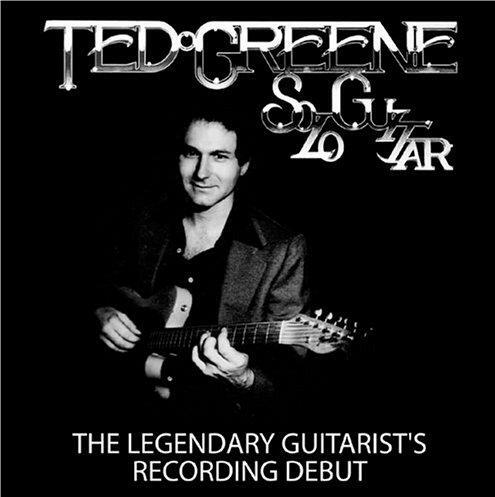 I have been telling people to 'Google' Ted Greene and read about my guitar instructor. So I did the google search myself and started reading only to find that my instructor and good friend had passed away. I am totally bummed out. Ted was one of the kindest, most gentle human beings that I have ever met. His knowledge of the guitar and his phenomenal ability to play will forever be in my heart. The way I got to meet Ted was unique. 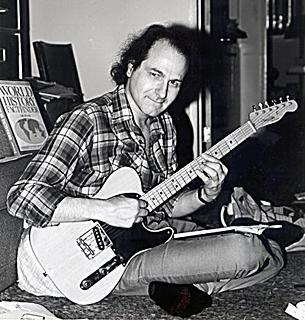 I was at a music store in Sherman Oaks and said to the sales person, “I just know that the guitar is a logical instrument and I need a book that shows me the easiest way to learn it.” She replied, “You should talk to Ted Greene” and she gave me his phone number. In 1986 I moved to Washington so I didn’t have much contact with Ted but in 1990 while I was down in LA I visited him and tried to convince him to let me produce another recording of him playing similar to ‘Solo Guitar’. Unfortunately, Ted did not want to do it despite my telling him that I wanted no proceeds from the endeavor except to hear him play and let other people hear him. I already had the vinyl copy of ‘Solo Guitar’ and told him that I had worn it out. Ted gave me another copy of it. Ted was always willing to teach and share his great knowledge.